A day ago we have posted about the video showing the iBook fix on iOS 5 by the infamous jailbreak hacker iH8sn0w. The hacker shows up iBook application running on iOS 5 jailbroken device and claimed that he is working on the fix, and the current status of the fix is enough to launch publicly as the fix is not much stable to get the air of public launch. After a day of demo video, It appears that someone is also actively working on the iBook fix on iOS 5 jailbroken devices, and as well comes up with a little fix to get the application back working on iOS 5 jailbreaked device. The fix for iBook on iOS 5 that appears today still not enough to get you all features of iBook on the device, but can at least allow you to read or use your iBook app for reading books or the most awaited Steve Jobs biography. In the above talked solution you also face some errors on your iOS device, especially while syncing the books on your device with iTunes. 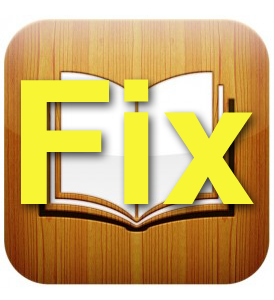 The fix also does not allow you to make or transfer any old purchase of books, to get books on it; you have to manually add them through the jailbreak tweaks/ tools available for Windows or Mac OS X. Step 1: Uninstall iBooks, and then reinstall iBooks from the App Store. Do not open the app. Step 2: Open iFile, and copy iBooks.app from /var/mobile/Applications/(iBook’s folder)/ to /Applications. You can use SBSettings, or just go through each folder to identify the correct iBooks folder. If you don’t have a lot of App Store apps, this should be simple. Step 4: Exit iFile and Respring. Step 5: Delete the original iBooks app (rounded corners) and keep the square iBooks app. Step 6: Since you can’t use the iBookstore on device, and you can’t sync with iTunes, upload your .epub files using the methods outlined on the video, dropbox, etc. From there you can open them using iBooks where you will be able to read them. 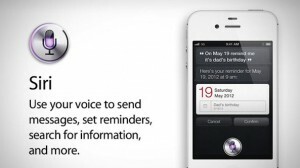 New iTunes Beta Leaked The iPhone 4S Design!